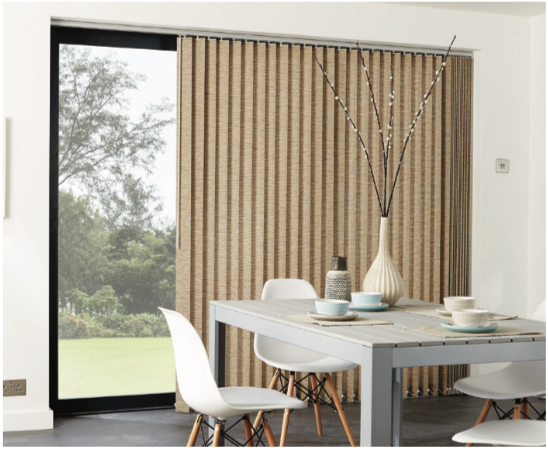 Vertical blinds offer a great solution to shading, with louvres that can be rotated through 180 degrees or drawn to the side of the window. What's more, because they are made of individual louvres, they can be made to larger sizes than other blind types, making them ideal for larger windows and patio or bi-fold doors. 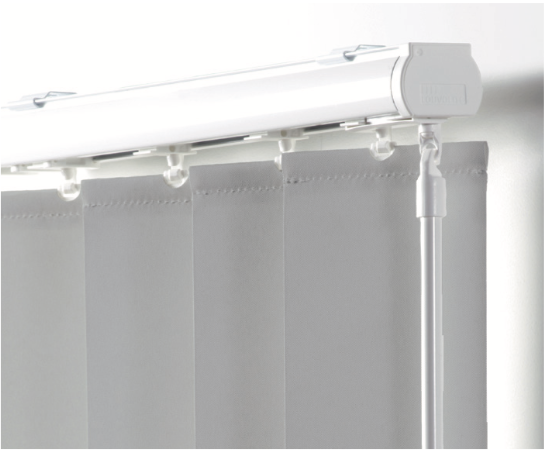 Fabrics are available to suit every room & colour scheme, including blackout* options for when light control is a priority. 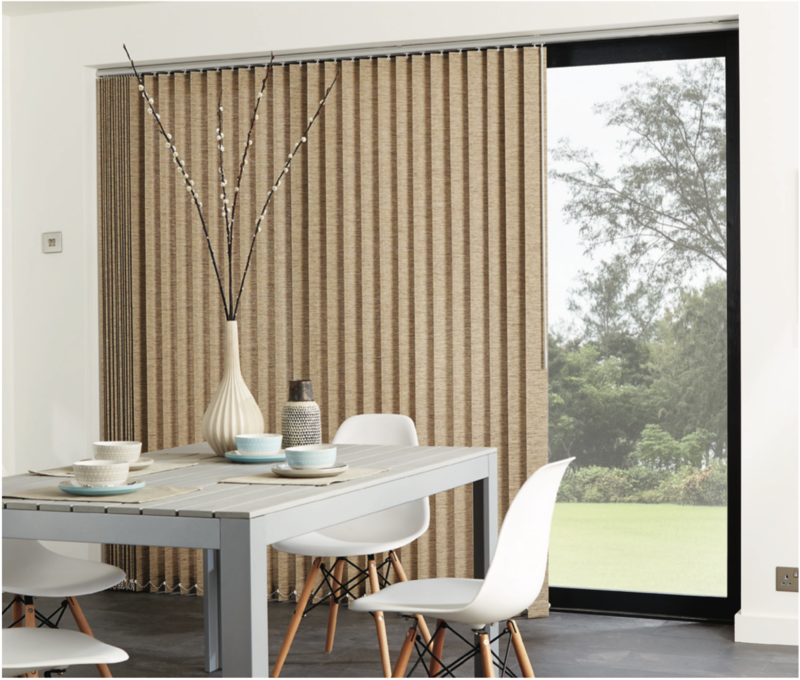 The fabric range can be found in the roller Blind section as many of the fabrics are available as both roller and vertical blinds for a fully co-ordinated look. Simply check the icons for availability. 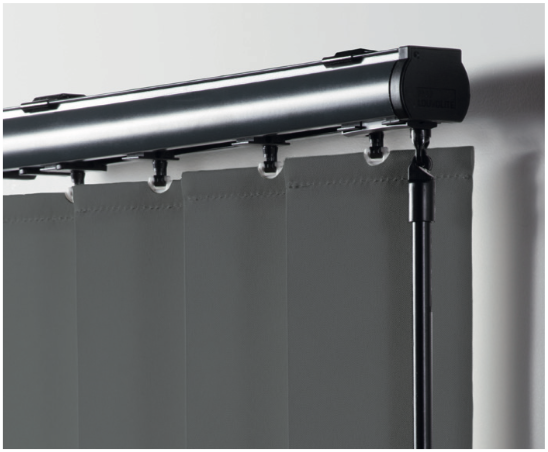 All our vertical blinds are made with 89mm wide louvres and top quality Louvolite components, designed and manufactured in the UK and tested for a 10 year lifespan. 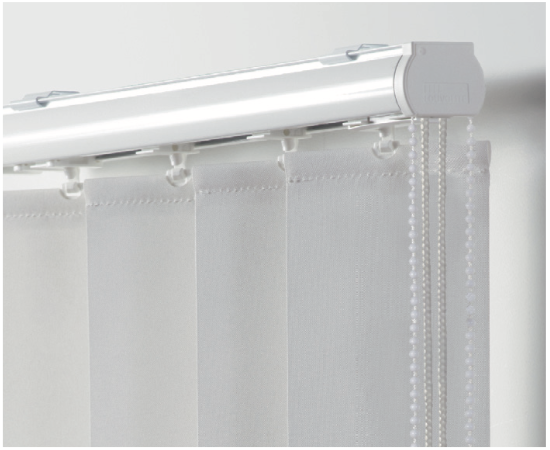 The headrail is available in a range of colours with co- ordinating white or black components. 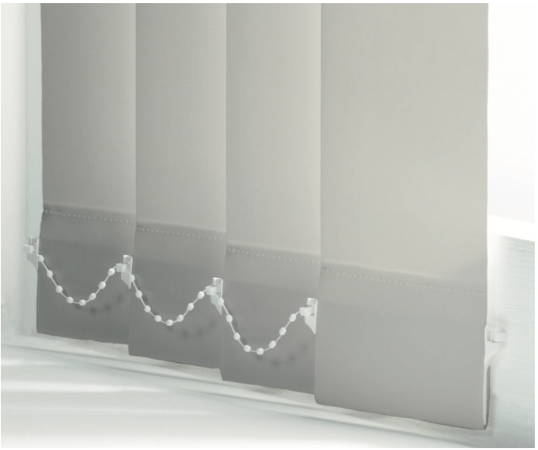 As standard, vertical blinds are made with a co-ordinating wand control which controls both the angle and position of the louvres. chain and cord controls are also available if preferred. The bottom of the louvres are finished with co-ordinating weights and chains to keep everything under control. chain-free weights are also available if a sleeker look is preferred. *Please note that although blackout vertical blinds will significantly reduce the amount of light passing through the blind, some light will still be visible around the sides of the blinds and between the louvres. 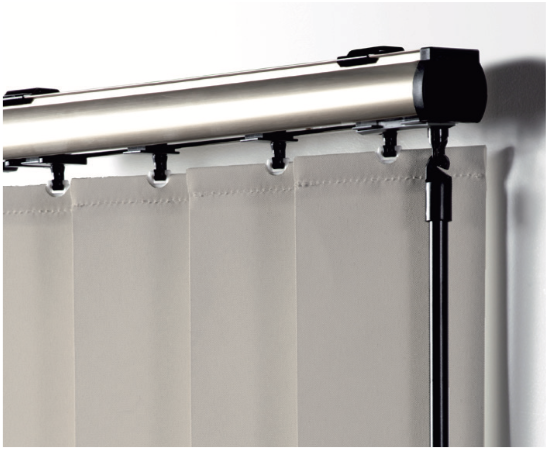 As standard, blinds are made with a wand control and draw to the right. 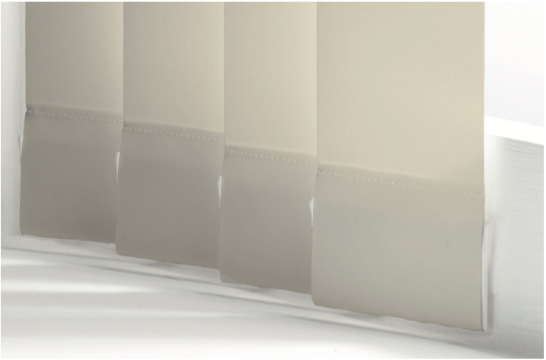 Alternatively, blinds can be specified for left hand draw or split draw where the louvres draw equally to each side. cord/chain controls can also be specified if required. 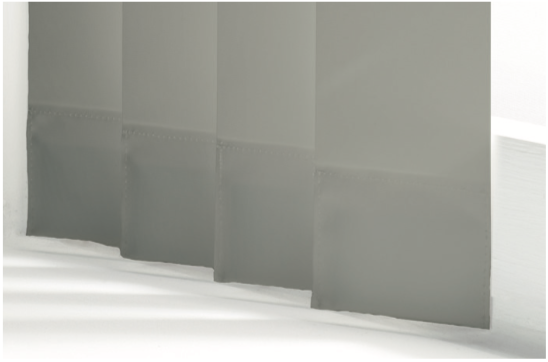 Our standard finish uses bottom weights with a traditional chain link to maintain control of the louvres. Alternatively, either white gravity or sewn-in weights can be specified. 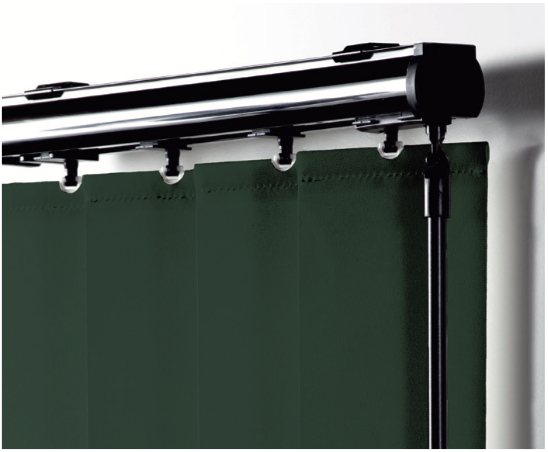 Both offer a clean look without chain links but are not as suitable when the blind is frequently opened or closed or in breezy locations as there is less control over the bottom of the louvres.